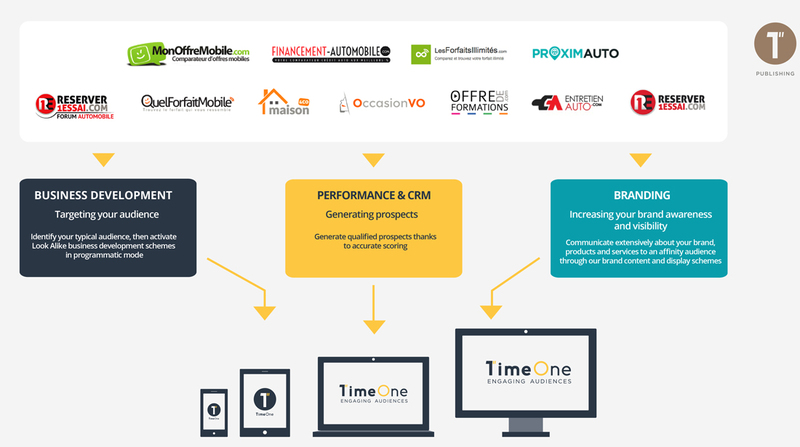 TimeOne – Publishing is the thematic website publishing specialist. The audience accessed allows for the proposal of special operations, branding and lead-collection operations to brands. The division promotes content and brand content as value creation sources. Kia—the world’s 4th-biggest car manufacturer—is currently the only one to offer a 7-year guarantee throughout its entire range. Offering a range of 13 models, the brand has a constant need to increase its online visibility with a view to boosting web-to-store sales. 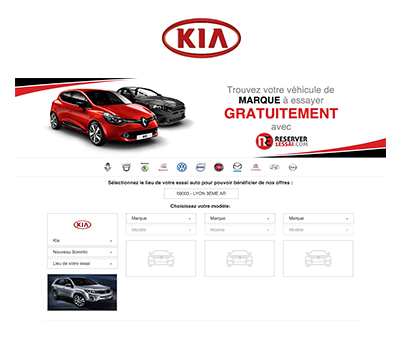 Key issue: Help Kia to roll-out its online digital strategy and allow the brand to communicate massively throughout the year to an ultra-affinity audience. Response: Overarching operation to generate qualified prospects for requests to test drive all Kia models. Support: ReserverUnEssai.com (1M UVs / 3.1M pages with advertising / 3.4M members).